The farm needs takin' care of. And it's a lot of work. It constantly needs upkeep. However, it's not the kind of farm you are thinking of. It's our trash farm. Thanks for the term Aaron (he's our neighbor). Our trash farm got really bad. So we did some overhauling and now it looks better. 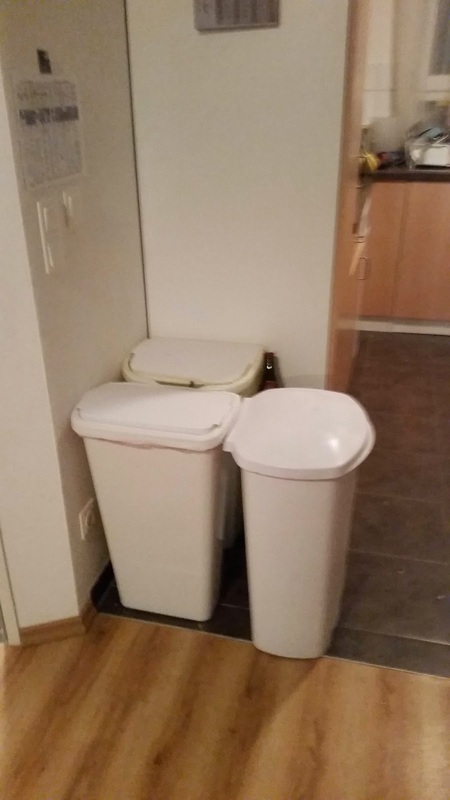 In Germany you recycle everything. We have 35 gallon cans for rubbish and compost and a 65 gallon can for our paper. Glass and plastics are separated and go in bins that are located in different spots around our city and on post. I worked for a trash company. I'm pretty familiar with the amounts of trash people produce. Most people do fine with 1 96 gallon trash can. Some people choose to recycle and that's an additional 65 gallons. I guess with all of the combined gallonage (haha) it ends up being the same but it's a ton more work! Am I lazy? Germany is really on top of their eco-friendliness when it comes to this stuff. I was really gung-ho when we got here. I love compost because I love gardening and it's great for that. I got a little lazy during the summer because it was gross. I think recycling is awesome. But it can be a little overwhelming. Especially when I feel like it's taking over my house. I splurged on some more bins to keep it in. Now at least they aren't such an eye sore. I would take pictures of my kids and there would be the ugly yellow bag in the background. I've thought about posting in White Walls about their trash centers but I'm pretty sure no one else except those of us living in Europe has to deal with this. Should I do it? I'm still curious though. What do you do with your trash and recycling? Are you a real American with your can under your sink? Do you have a decorative trash can? Is there such a thing? Please tell me I'm not the only one who actually thinks about this. lol. So I live in a very "green" state, in more ways than one, if you know what I mean. That being said, I do not recycle, which is probably considered sacrilegious not too. 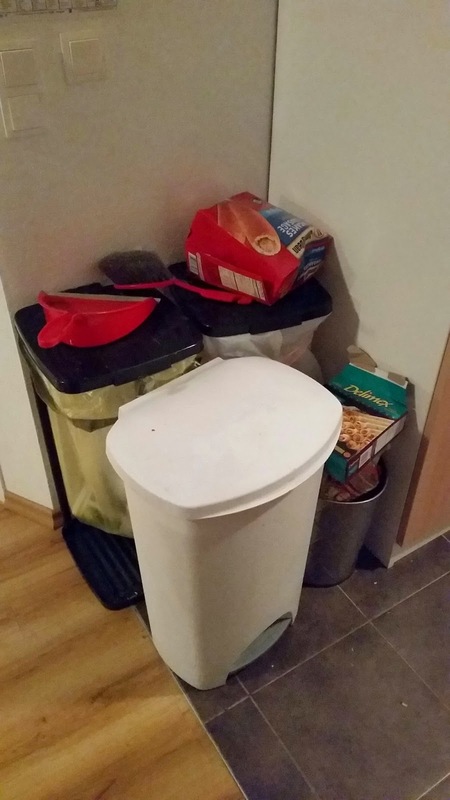 I still have the small garbage bin under the sink and use grocery bags as trash liners. This is another no no here. I am getting better at using my reusable bags, but then I don't have trash liners- tough life. Boulder was one of the first cities to start charging for plastic bags. Remember the 3 R's from grade school?- Reduce, Resuse, and Recycle? Yeah, I am only on the first two. I'll recycle someday.